Dr. Elio Zagato passed away yesterday at the age of 88. Son of Ugo Zagato, founder of the famous Milanese Atelier, renowned in the whole world since 1919 for its custom made car bodies- Elio was a figure of great importance in the history of global automotive design and in the Gran Turismo race scene of the post-war era. Entrepreneur, racer and gentleman driver, he competed for the first time in Piacenza in 1947, driving a Fiat which had just been re-bodied as a graduation gift from his father. From that point onwards he never stopped developing his beloved Gran Turismos, working on them during the week and then testing them during the weekends. 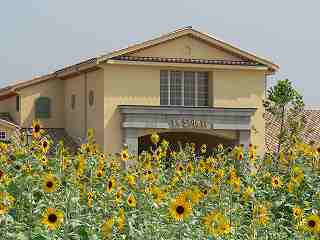 He was amongst the founders of the Milanese Scuderia Sant Ambroeus. He embodied with perfection the style, elegance, and competitive spirit of the Italian gentleman driver of the ‘Dolce Vita’ era. 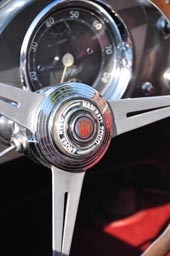 In the early 1950s he started developing the world’s most desired berlinette GTs. 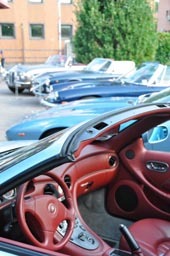 Amongst all of them we fondly remember the Fiat 8V Zagato, which he claimed to be his favourite, the Alfa Romeo 1900 SSZ which was often his rival in various races, the legendary Ferrari 250 GTZs, Maserati A6G, Aston Martin DB4 GTZ and many more. 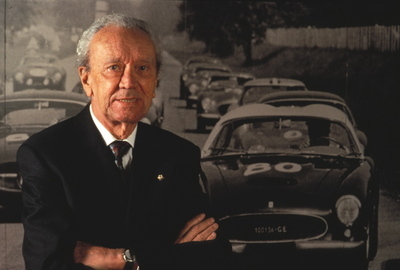 Together with his friend Ercole Spada he developed the legendary Alfa Romeo SZ, TZ and TZ2s followed by the elegant Lancia Sports based on Appia, Flavia, Flaminia, and Fulvia chassis. 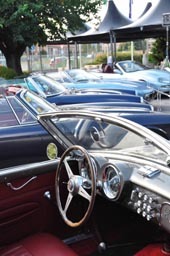 A constant innovator, together with his father Ugo he invented the celebrated double bubble, signature mark of the Milanese brand, the ‘Coda Tronca’, windows made out of plexiglas and countless other solutions still used on modern vehicles today. Elio participated in 150 automotive races, winning 82 of them and becoming champion of the GT series a remarkable 5 times. He was victorious in the Targa Florio, eight Coppa Intereuropas, won three first places in the Golden Cup of the Dolomites, and came in first at the Avus circuit in Berlin in 1955. Andrea and Marella Zagato, today, in the year of Zagato’s 90th anniversary, keep the spirit of the Atelier coachwork alive, a trade that Elio learned from Ugo and promoted throughout his brilliant career. 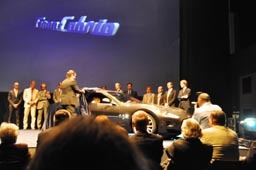 The launch of the GranCabrio is a proud occasion for all of us at Maserati and I am very pleased to welcome you to the world of our latest creation. 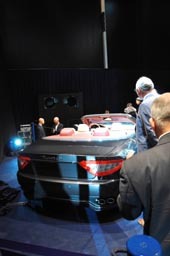 Maserati has never produced a four-seater cabriolet so this is what we wanted to do with the GranCabrio. We aimed to create the perfect blend of the concepts that have always characterised our cars: style, exclusivity, comfort, performance and driving pleasure. The joy of open-air driving is the added bonus. 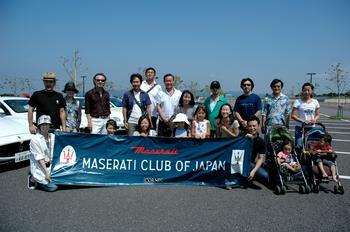 However, even more than in the past, we wanted this experience to be shared by the passengers on board the GranCabrio. 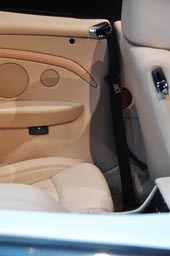 The special emotions provided by the GranCabrio can also be felt by three passengers in a spacious and comfortable environment. 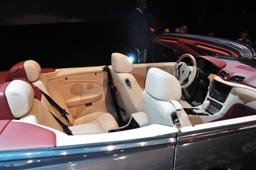 In fact, the GranCabrio is unique in its class as it offers above average space in the cabin. 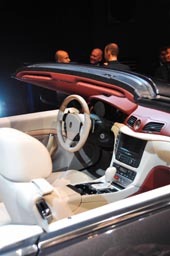 The GranCabrio is a refined and extremely versatile cabriolet. Though it is capable of transporting four adults in a car equipped with advanced technology and boasting superb Italian craftsmanship, underneath its skin it is a pure granturismo loaded with cutting edge engineering. The name itself, GranCabrio, brings to mind renowned models from Maserati’s history and echoes the droptop GranSports that made the company famous when it first started out. The arrival of such an outstanding convertible enhances Maserati’s reputation as a marque for true connoisseurs and completes the dazzling range of models it currently offers, one that includes a coupé, in the form of the GranTurismo, and a luxury berlina like the Quattroporte. 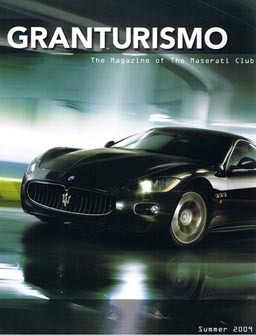 We really hope you will enjoy the site that allows you to get to know and appreciate the GranCabrio.